There can be little doubt about the move to the cloud, and making “E”verything as a service (aka XaaS), has had profound impacts up and down the value chain. It has changed relationships with solutions providers and their customers as well as their channel partners. The facts are that many channel partners have trepidations about their long-time trusted solutions providers’ moves to subscription-based services as they move from perpetual licensing and toward monthly recurring revenue (MRR) models. And, while the fears are understandable realities are that channel partners have significant opportunities as cloud adoption increases. You are invited to participate in the webinar, How do Partners Cross the Chasm to Robust MRR. To be held live on Wednesday, December 02, 2015 02:00 PM EST / 11:00 AM PDT, join me, David Byrd, CMO, CloudRoute and Pete Cavanaugh, Cloud Technology Strategist, Microsoft (News - Alert) as we discuss the state of cloud adoption and how partner can align their business strategy to meet the growing cloud solutions and services demand. 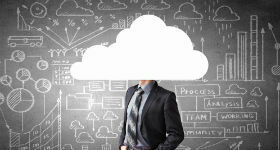 The headlines and reports are all confirming that customers are looking to the cloud to gain operational efficiencies and enhance their customers’ experiences. If you are a channel partner this means that working with a trusted solutions vendor you can provide cloud solutions in a cost-effective and timely manner and add important value in the process. In fact, as the webinar will address in detail, Microsoft and CloudRoute, through Office 365 and a range of migration, integration and customization professional services can meet customer cloud demands and ultimately grow partner revenues. How you as a channel partner can do this will be demonstrated as presenters share samples and information to establish or strengthen your business strategy, product catalog, marketing activity, sales execution and support. There really is no reason to fear that the increasing cloudiness of the marketplace is going to rain on your parade. The facts are that having the right solutions partner and understanding how to leverage the channel’s unique relationships with customers can assure that you prosper as markets continue to transform.